Kristin’s Friend Is Being Haunted By A Mayan Ghost He Picked Up From Their Trip! 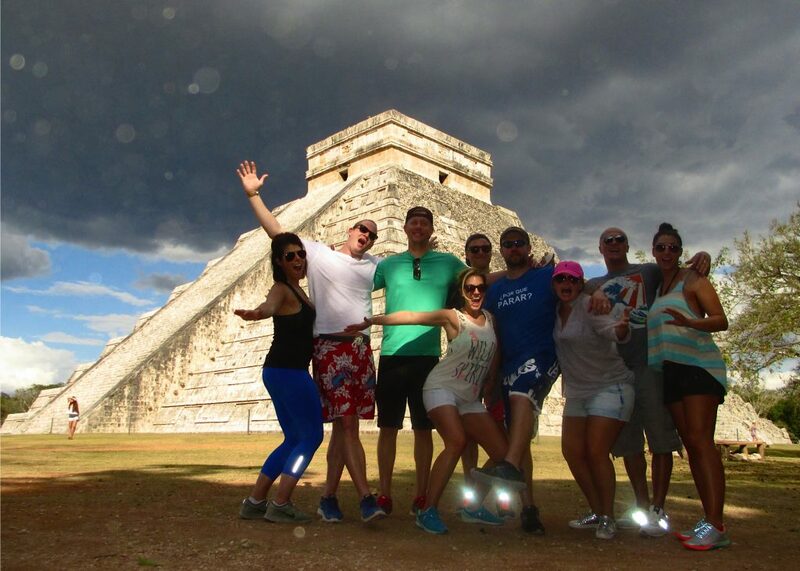 So Kristin went on vacation with some friends to Mexico, and while they were there, they visited a Mayan temple at Chichén Itzá, where Mayan sacrifices took place. They even used to have competitions where the captain of the WINNING team would get beheaded as a sacrifice to the Gods; and it wasn’t a bad thing…you WANTED it to happen, because it was an honor. Well, Kristin’s friend, Adam, thinks he might have picked up a Mayan ghost…and it doesn’t seem to friendly. While they were at the temple, it was a beautiful day, but out of nowhere, the wind picked up, and a dark, ominous cloud blew in…and the picture the group took had ORBS in it. It turns out that when they were at the temple, Adam crossed the restrictive boundary, and when he got home, he started having awful nightmares, seeing faces, sleep walking, waking up growling and with numb palms. And it gets even weirder: they did some research on hauntings from Chichén Itzá, and there’s someone else who picked up a spirit from that same temple when they brought back a rock…and he lives right around the street from one of the girls who went on Kristin’s trip!